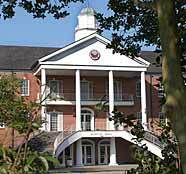 The University of Louisiana at Lafayette will administer the ACT Residual exam on Dec. 1 at 8 a.m. in H.L. Griffin Hall. The ACT Residual test is intended as an opportunity for UL Lafayette applicants to be tested for admission if a student was unable to take one of the ACT exams given on a national testing date. This will be the last available test date before the Spring 2008 semester. The next national ACT test date is Feb. 9, 2008. Scores from the residual exam are reportable only to UL Lafayette. Scores cannot be used at any other university, nor can they be used for scholarship purposes or for NCAA eligibility. Students should report to the lobby of H.L. Griffin Hall at least 25 minutes early. Results will be available Dec. 4 after 1 p.m. in Lee Hall, room 115.